Should I Apply for a Mortgage If I Have Fair Credit? There is no greater expense for the average American than buying a home – and no greater time when your credit score can affect your financial future. 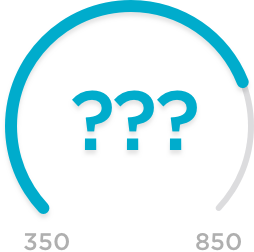 So if you have home-buying dreams but only an average credit score, is it possible – or even wise – to apply for a mortgage? To address the first question: Can someone with only a fair credit score even get a mortgage? Yes, you can. The Federal Housing Administration (FHA), a federal program that helps first-time homeowners with mortgages, evaluates loan applicants based on “the four Cs” – credit history, capacity to repay, cash assets and collateral. Your credit score is only one factor of the four Cs – an analysis of your credit history. If you have steady income, cash for at least 3.5% of the down payment (although more is better) and low debt-to-income ratio, you likely can get a home loan even with average credit scores. First, make sure you know your FICO score. Federal law gives you a free annual credit report from each of the three major credit bureaus. If you are denied credit, you’re eligible for an additional report within 60 days of the denial. To view your free report, go to AnnualCreditReport.com. FICO scores range from 300 to 850. An average or fair credit rating generally is between 630 and 689. Your score affects not only whether you can get a mortgage, but the monthly rate you’ll be offered. For example, if you have a FICO score of 760 or higher, a 30-year fixed mortgage on a $300,000 house would cost you $1,348 at current rates, according to MyFICO.com. Someone with a credit score of 640, however, is looking at monthly payments of more than $1,500. If you are a first-time homeowner, you are wading into complex financial waters. Before you get in too deep, make sure you know your APR from an ARM, or an FHA from a HomePath mortgage. You can find our great explainer of mortgages here. An average FICO score doesn’t keep you out of the homeownership game, but it will undoubtedly impact your range of housing options and the affordability of monthly payments. If you can stomach the higher costs, your dream home may be within reach.